Fast Response! We’ll The Toughest Clogs! If you are looking for South Pasadena drain cleaning services, The Rooter Drain Expert has many years of experience providing South Pasadena drain cleaning services. A clogged drain is a big disturbance in our daily lives since we depend on our showers, sinks, toilets and all other drains in our daily lives. It doesn’t matter what kind of clog it is: hair clogs, grease clogs, root clogs, anything blocking your pipes we will remove. We have the best tools in the plumbing industry and there is not clog we cannot clear. Roots naturally are attracted to underground water beds, and in an urban environment such as South Pasadena, your sewer line is an artificial water bed roots will try to use it to get the water they need. If you have an ABS plastic pipe less the 30 years old you can assume you are safe from roots intrusion, but an inspection can give you the reassurance you need. 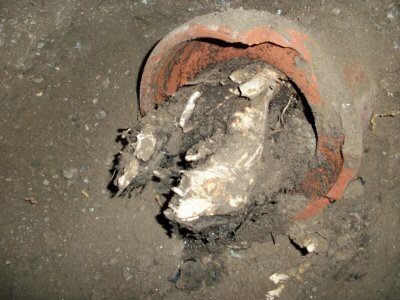 In the other hand, if you have a clay or cast iron sewer pipe, you are at high risk of roots intrusion: Clay pipes come in short segments of three and six feet, most likely installation joints are going to be needed and every joint point is the vulnerable area for root intrusion. 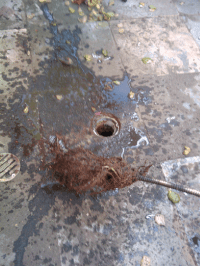 Iron pipes are easily oxidized and orifices start forming leaving room for root intrusions. The Rooter Drain Expert has the best solution for your roots in the sewer pipe problem. Take the time to learn about our different solutions. Call or schedule an appointment, we will go to your place and recommend the solution that best meets your needs. The Rooter Drain Expert is the local plumbing company of South Pasadena, we have been the South Pasadena plumbers of choice for many years because of our excellent personalized customer service and prices with less overhead. The Rooter Drain Expert is a licensed bonded and insured plumbing company, we highly recommend you for your safety to only hire licensed professional plumbers, the main reason being safety. All plumbing works needs to meet regulations and be up to code and only licensed plumbers can give you that reassurance (Why hire licensed plumbers? ).